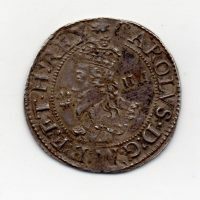 Charles I Shilling, York mint, Gp 1 (type 1), mint mark lion, reverse, EBOR above square topped shield, N.2316; S.2870, about extremely fine, struck from clipped blank, crease. 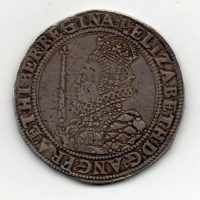 Elizabeth I Half Crown, seventh issue, Crowned monarch, reverse, shield, mint mark 1, S.2583, good very fine, very rare. 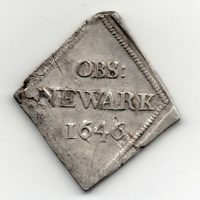 Charles I Half Crown, 1646, Newark siege, large crown between CR reverse, OBS/ NEWMARK/ 1646. This example is extremely fine for issue, very rare in this grade. 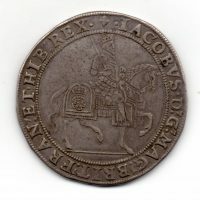 James I Crown, second coinage, King on horseback, mint mark lis, reverse, shield, N.2097; S.2652, good very fine with excellent definition, very scarce in this grade. Charles I Crown, Tower under Parliament, Gp IV, King on horseback, type 4, reverse, Oval shield, mint mark sun, N.2198; S.2761, good very fine, struck on large flan. Charles I Groat, Aberystwyth mint, crowned bust, lace collar, reverse, Crowned shield, S.3891, good very fine+. 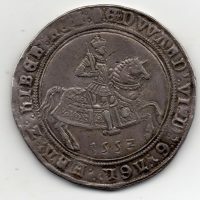 Edward VI Crown, 1552, crowned monarch on horseback, mint mark Tun, reverse, coat of arms in centre, this is an excellent example of this rare date, far nicer than the usual examples for sale and thus very rare. Elizabeth I Crown, Crowned monarch in elaborate dress holding sceptre, mint mark 1, reverse, shield in centre. This is an exceptional example, extremely fine for issue with a superb portrait, extremely rare. 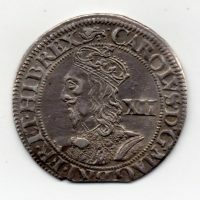 Henry VIII Testoon, Tower mint, third coinage. Crowned bust of monarch (bust 3), group B, mm. 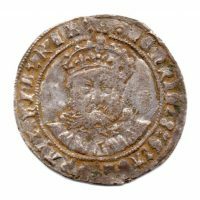 Pellet in annulet, reverse, Crowned Tudor rose between H R, S.2366, very fine, very rare.